That is a fantastic looking location, sweet that you got in. I`d love to see a plan of the battery just too see how big it was. This is one of the guns when it was still on the battleship. It's said that the barrel design was flawed and very dangerous. The barrel was basically a tough inner pipe that was then tightly wound with wire to keep it together when fired. The actual copper ring on the shells which seals the gases when the gun is fired would 'grip' that inner barrel and could stretch it - a simple fix was to cut off the protruding inner barrel!! 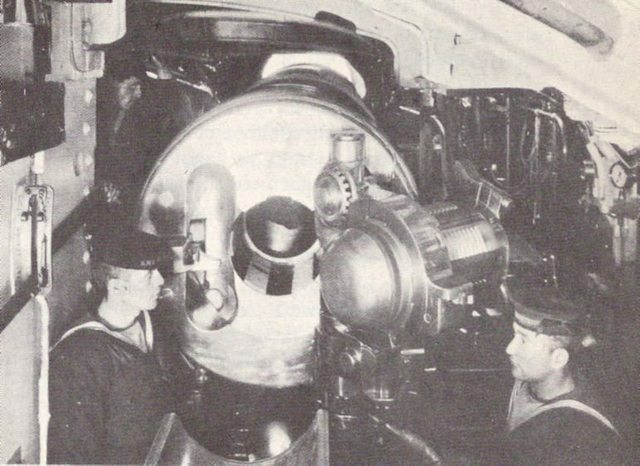 There are also instances where the shells would grip too much when fired with at least one instance of a fragmented shell peppering another ship - it had gripped and disintegrated inside the barrel. 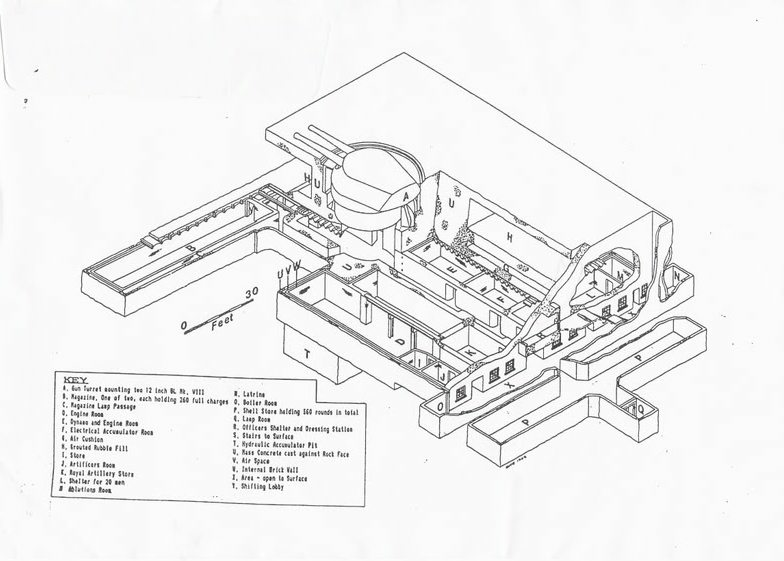 This is the largest plan available for Roberts Battery. If you look closely at the underground section, my report covers the closest half - the rest is filled in. Those massive concrete surface features were destroyed after WW1 was over. Rough grass now hides the site. I can't seem to locate an actual photo of it but it will have been impressive. The secrecy of the installations has stopped us learning more about the site. A real shame that. Hartley Pit Disaster Memorial, Northumberland. Dec 08.